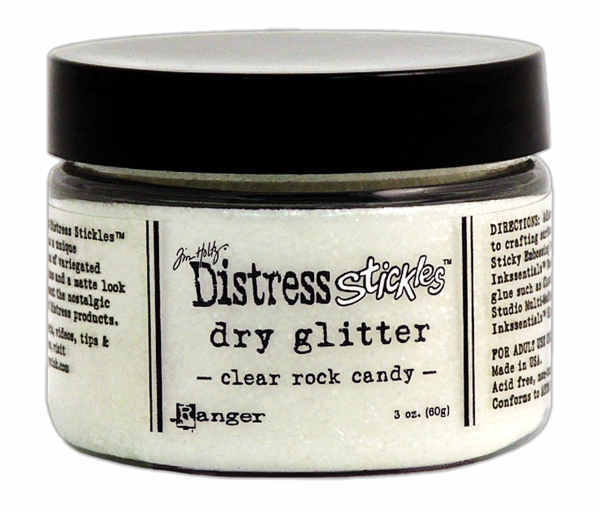 Distress Stickles Dry Glitter in the same fine quality that has been popular in Distress Stickles Glitter Glue in a loose form. Clear Rock Candy Glitter from Ranger Ink has the unique combination of variegated glitter sizes and complements the nostalgic palette of Distress products. Great for home decor, holiday decorations, mixed media arts and crafts. Works well with the Ranger Ink Sticky Embossing Powder, Inkessentials Wonder Tape or with your favorite adhesives.